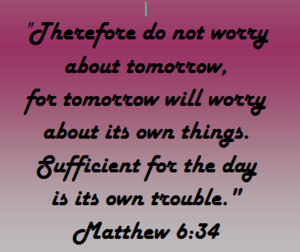 Max Lucado once said, "Worry is to joy, what a vacuum cleaner is to dirt.' In the sermon on the mount, Jesus spoke about this very subject (see Matthew 25-34). He told us to not worry about our lives and what we will eat and drink and wear. He pointed to the birds and flowers and explained how God cares for them and made the point that we as humans are of more value than they. In doing so, He calls us to trust in God Almighty with our needs. Someone once said that the average person is crucifying himself between two thieves: the regrets of yesterday and the worries about tomorrow." Chuck Swindol once said: "Worry pulls tomorrow's cloud over today's sunshine.' Maybe that's what you've been doing lately?! It's easy to get into such a habit! Even pastors can get caught up in thinking so much about the future of our churches and making plans that we move from faith to fear and end up hindering our efforts today. 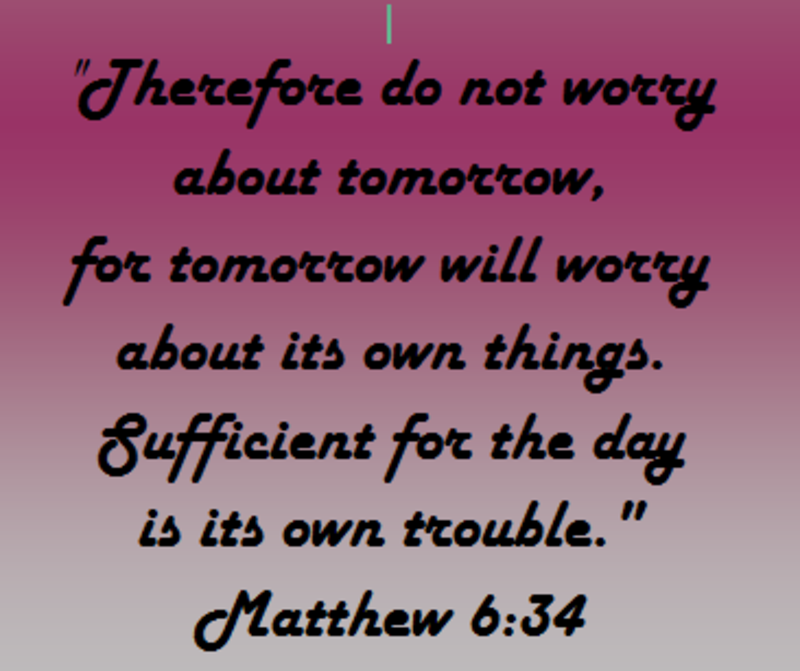 Friends, we all know how to worry! It's just a matter of thinking over and over about a problem or difficulty. Well, what if we did that same thing, but pointed it in a better direction? That's my understanding of what Biblical meditation is- pondering over and over a truth or a promise from the Bible. The blessed man as described in Psalm 1 is one who 'meditates on God's law day and night." Instead of stewing over and over on our problems, let's ponder the right things, the truth of God, His promises given to us. You'll be blessed if you do so and be more equipped to face your problems because you'll be facing them with faith in the Lord.